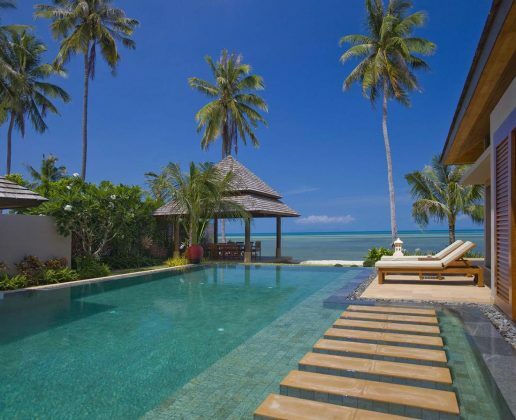 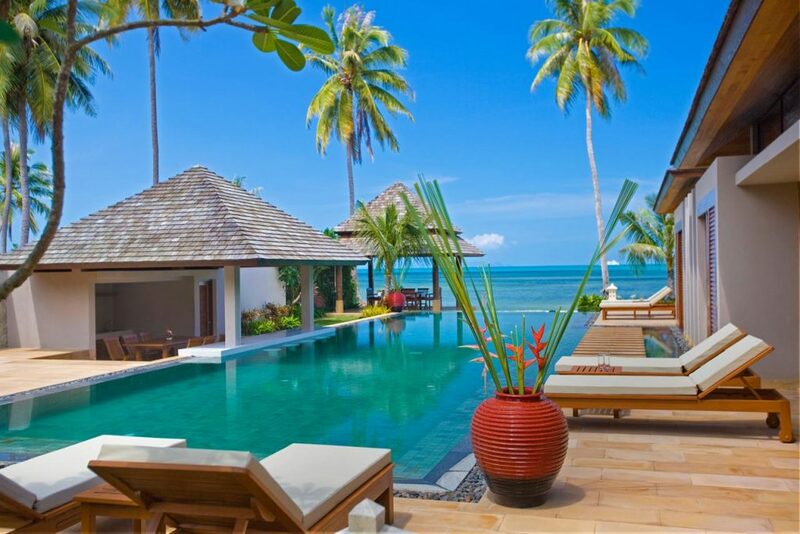 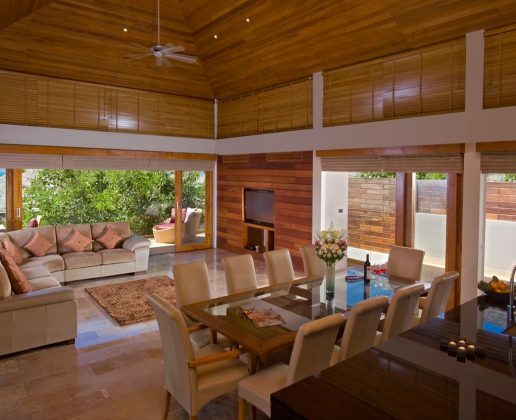 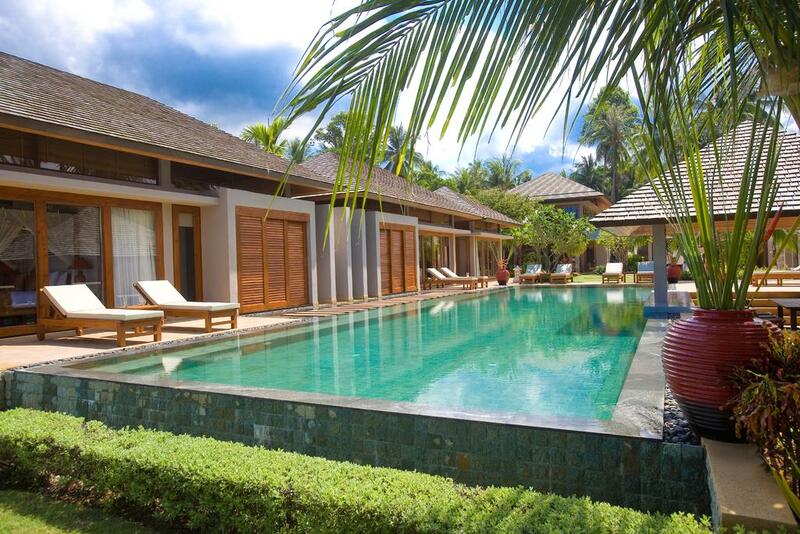 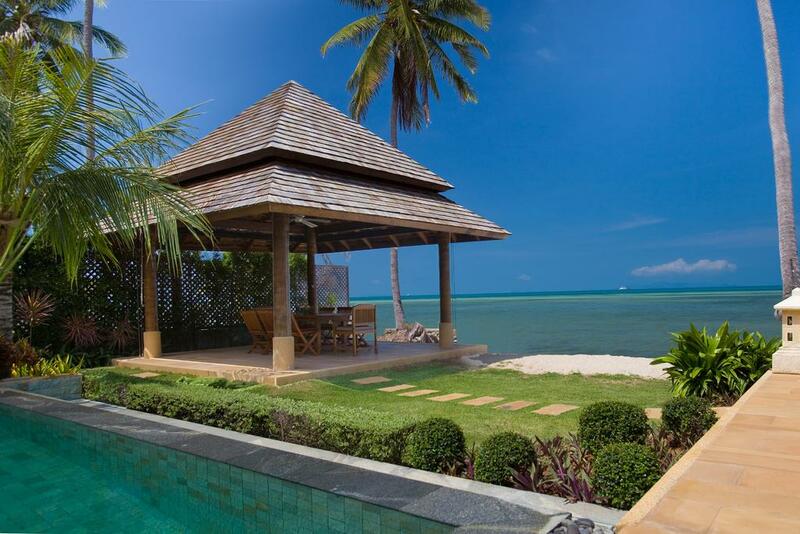 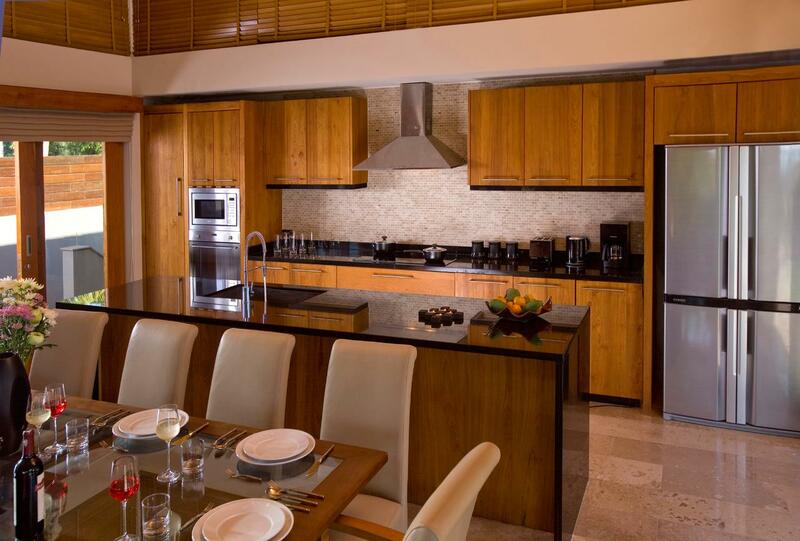 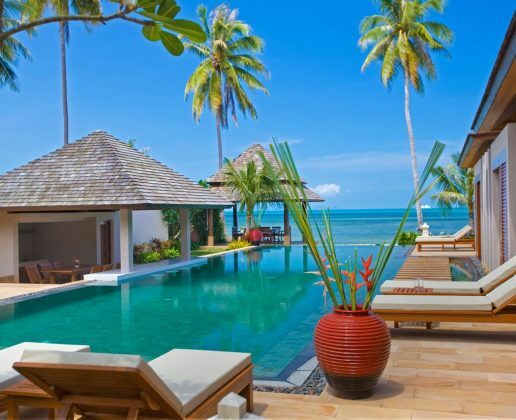 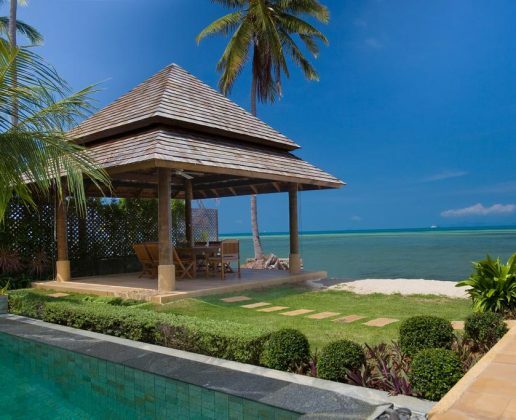 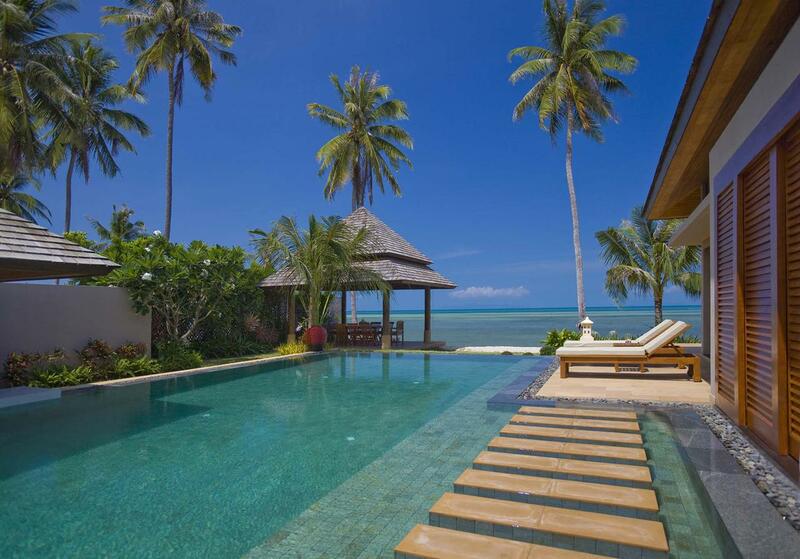 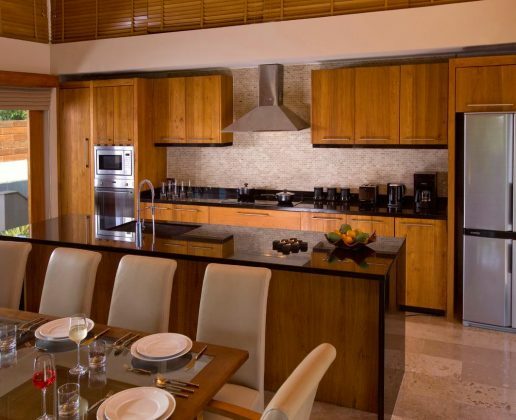 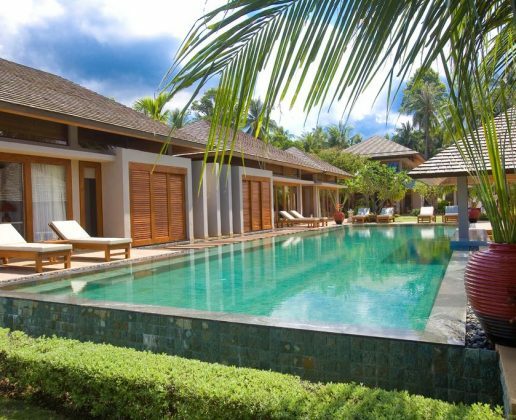 This luxury beachfront villa is your private residence. 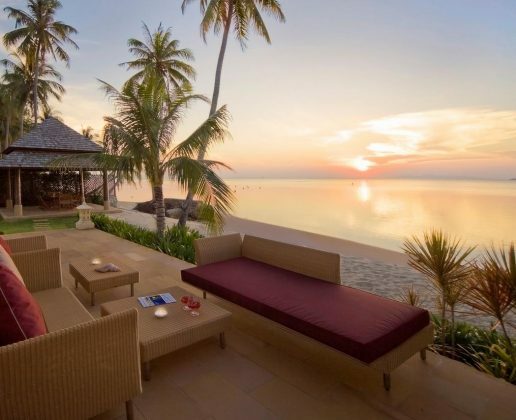 Located on the West coast of the island, Lipanoi Beach, with stunning views on the islands of the Angthong Marine National Park. 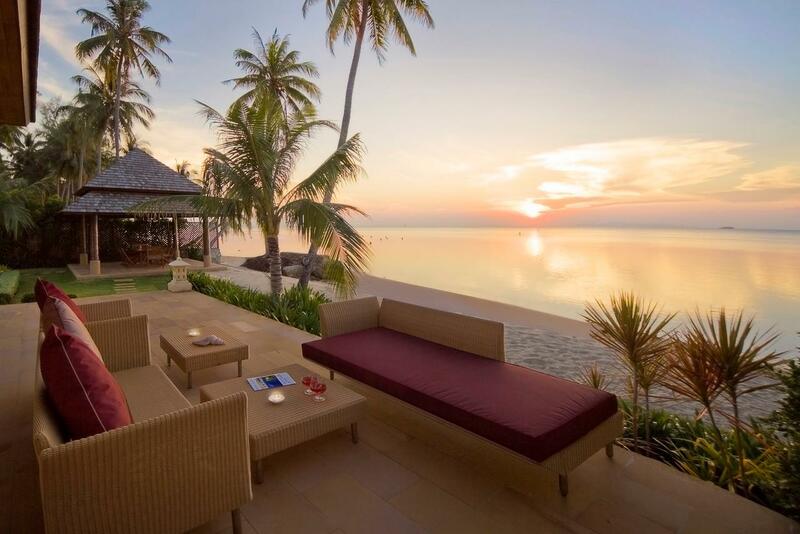 The amazing sunsets happen literally just in front of the Villa. 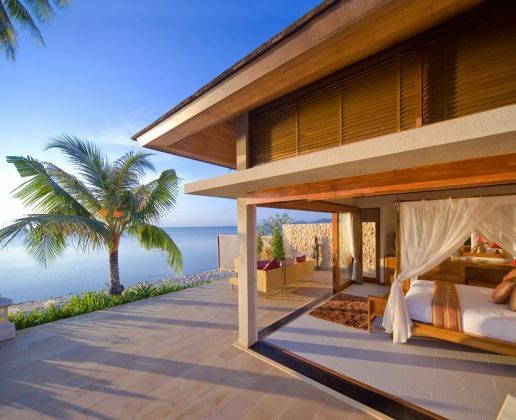 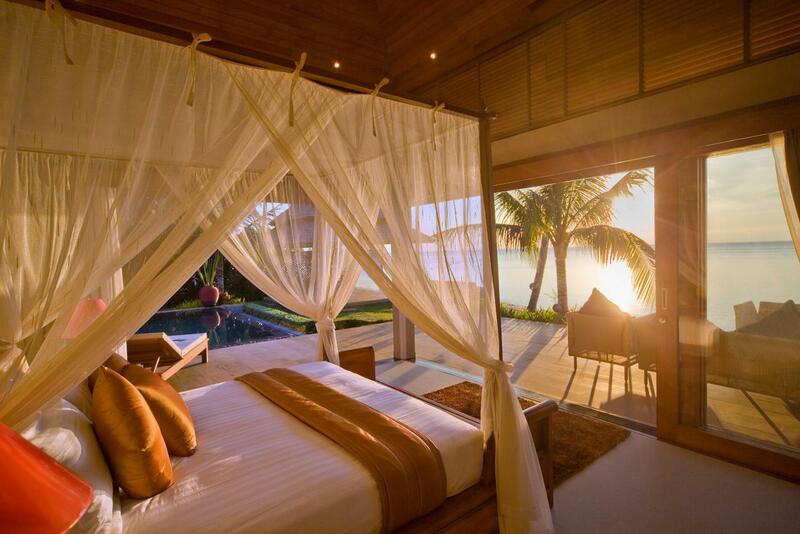 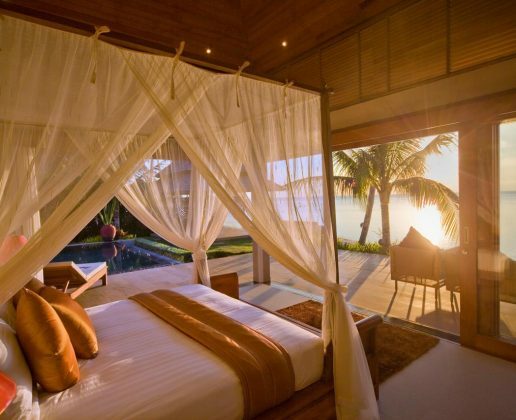 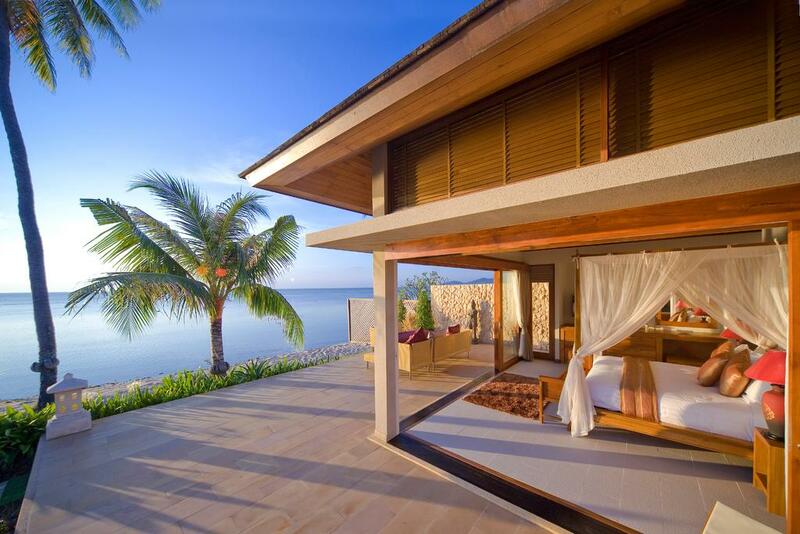 The villa offers 5 spectacular bedrooms. 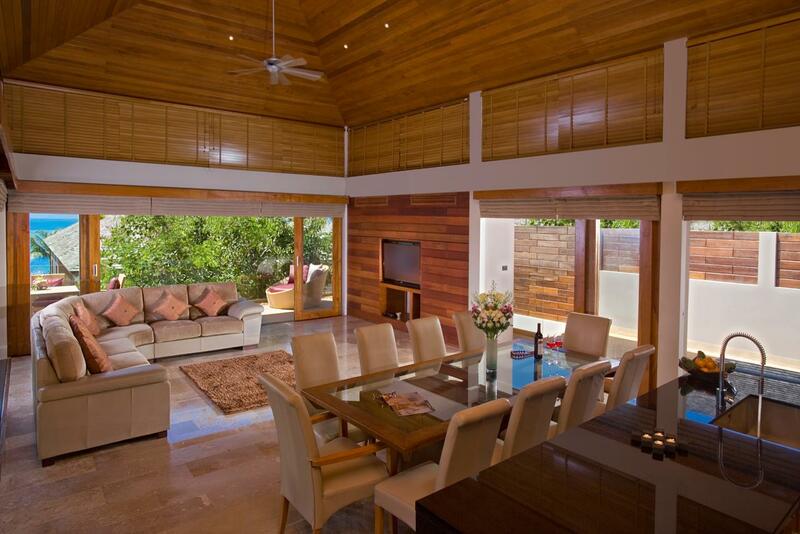 Each room is spacious and designed with traditional top quality wood and marble. 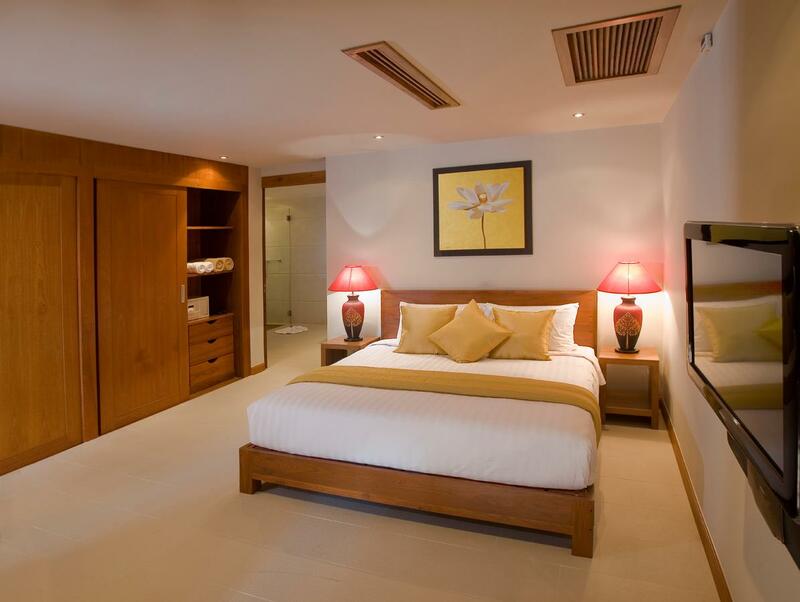 All bedroom with en-suites bathrooms, 32 inch high definition flat screen TVs, DVD player, safebox and full air conditioning. 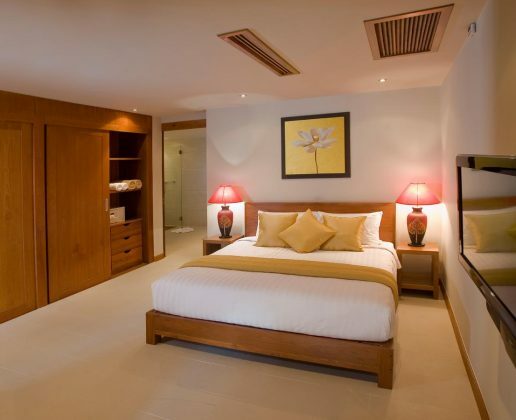 Rates start from $ 1050 – 2500 USD per night.